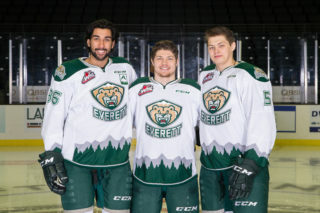 EVERETT, Wash. – The Everett Silvertips (@WHLSilvertips), proud member of the Western Hockey League, announced that four alumni members are set to open men’s ice hockey competition on Wednesday at the 2018 Olympic Winter Games in the PyeongChang County, South Korea. Former Silvertips defenseman Ivan Baranka (Slovakia), right wing Martin Ruzicka (Czech Republic) are scheduled to suit up for their respective nations. Former Silvertips center Tyler Dietrich will serve as video coach for Team Canada, while four-year broadcast voice Jon Rosen (2007-11) will handle men’s and women’s hockey play-by-play duties for NBC 4K coverage (check local listings). Baranka, 32, is in his 13th professional season and is currently under contract to HC Vitkovice in the Czech Republic where he has 24 points in 44 games to lead the club’s scoring among defensemen. 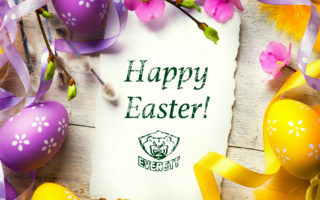 He skated for two seasons with the Silvertips (2003-05) where he had 38 points (10g-28a) and 133 penalty minutes in 122 games while posting six goals and six assists in 31 playoff games, helping guide the Silvertips to the WHL Finals in 2003-04. 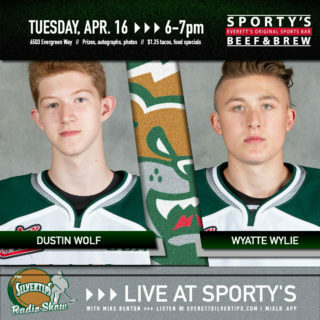 The 6-foot-2, 205 pound defenseman was selected by the New York Rangers in the second round (50th overall) in the 2003 National Hockey League Entry Draft and is one of 17 Silvertips to suit up in the NHL, collecting an assist in his debut with the Rangers in 2007-08. He has collected a silver medal each at the U18 World Junior Championships in 2002-03 and in the World Championships in 2011-12. 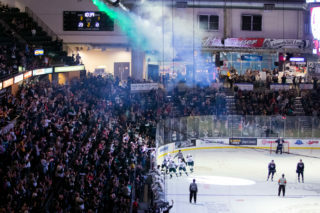 Ruzicka, 32, earned 16 points (4g-12a) in 68 games with the Silvertips in 2003-04 and earned a goal and three assists in 21 playoff games en route to the WHL Finals. The 5-foot-11, 174 pound forward is under contract to HC Ocelari Trinec where he serves as alternate captain and leads the club with 53 points and 28 goals in 46 games. He has 48 points in 143 career games at the KHL level, 360 points in 455 games at the Czech Extraliga level, the top league in the nation, and helped guide the Czech Republic to a gold medal at the World Championships in 2009-10. Dietrich, 33, skated with the Silvertips for two seasons (2003-05) and was a part of the club’s 2003-04 run to the WHL Finals when he had 20 points in 30 games (6g-14) and three assists in eight postseason games. His WHL career included 78 points and a +19 rating in 133 games with the Silvertips, Medicine Hat Tigers, and Moose Jaw Warriors. The 6-foot-1, 190 pound center competed for three seasons at the USports level with the Univ. of British Columbia, New Brunswick, and St. Thomas Univ. and totaled 42 points in 54 games. He is in his second year serving Hockey Canada’s staff as Video Coach, a part of the Spengler Cup championship program this season and a silver medalist with Team Canada at last season’s World Junior Championships. 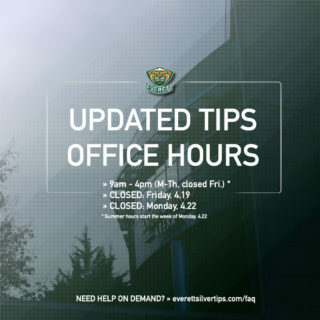 Rosen, who served behind the mic for the Silvertips for four seasons as play-by-play announcer and host on KRKO 1380 AM, also functioned as the club’s director of public relations for media, select community, and website activities. He is in his seventh season covering the NHL and sixth as the Los Angeles Kings Insider on www.lakingsinsider.com, also serving on air as rinkside reporter for local Kings televised coverage. He can also be seen as a reporter and correspondent on NHL Network covering the Kings and heard on Big Ten Network for select college hockey telecasts.